It's the day before Halloween and you don't have a costume yet; you probably aren't planning to hit the town except maybe the local video store to rent horror movies. Not all of us have the desire to dress as our favorite comic book characters, but there is an alternative to enjoying the holiday with comics in mind; seasonal reading of course! Grab a cup of pumpkin spice latte and dig into your bowl of Halloween candy while you read some of these spooky tales. 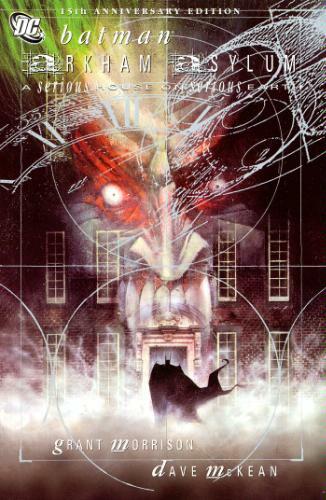 One cannot have a list of eerie tales without Grant Morrison's Arkham Asylum. 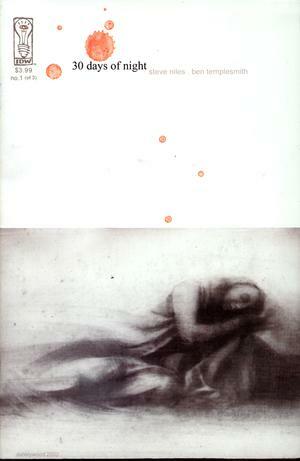 The Dave McKean drawn graphic novel is one hell of a creepy story no matter what time of year you pick it up. The book follows two parallel stories about Arkham; a present day Batman entering the madhouse after it has been taken over by the inmates, and a look into the asylum's troubled beginnings. This book is remembered as a classic not only for being well-written and stylistically bold (not to mention a record breaking best-seller), but at the time it pushed the boundaries for a Batman story. Prior to its release, The Killing Joke and The Dark Knight Returns delivered more violent blows than previously seen in the Batman books. But while those stories approached violence with the subtlety of a hammer, Arkham crawls under your skin and reminds you just how terrifying deranged freaks in costumes would be in real life. Whether you are re-reading this groundbreaking book or picking it up for the first time, it goes with Halloween like bats and Gotham. 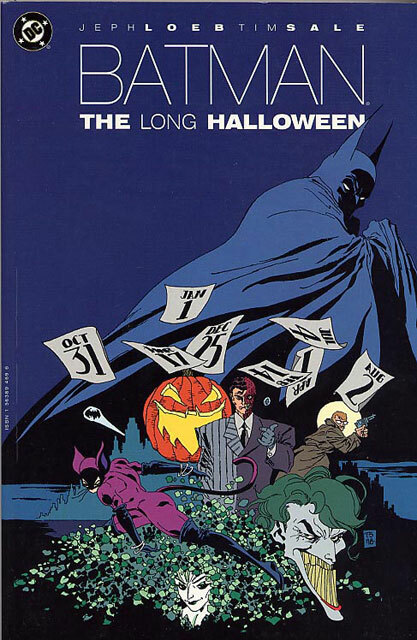 It is widely accepted amongst comic book readers that whenever Jeph Loeb and Tim Sale collaborate on a project it is a must read, and The Long Halloween is largely responsible for that assumption. In this 13-issue limited series, Batman works towards capturing the mysterious "Holiday" serial killer with clues leading to every major player in town. Although it is not very frightening, this story of murder and intrigue is a suspenseful read. Since The Long Halloween features a different holiday for each issue it's suitable for any time of year, but it begins and ends with the night of mischief. If you're interested in more ghostly tales, consider picking up Haunted Knight, a collection of Batman Halloween specials created by Loeb and Sale prior to The Long Halloween. This list may be revealing some trends. One, DC delivers the goods when it comes to scary stories. 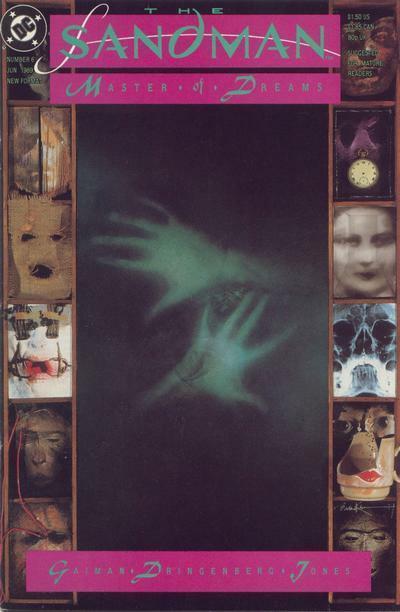 Two, Dave McKean could draw a kids book and it would still be terrifying (he only does the covers here). Though I could easily recommend the complete series for a frightening weekend of reading, this first volume contains one of the single most disturbing issues of a comic book I have had the pleasure of reading. "24 Hours", the sixth issue of Sandman, is where things get really messed up. It begins with the escape of second-rate Batman villain Doctor Destiny from Arkham Asylum. Now in possession of a powerful object once belonging to the King of Dreams, he's intent on inciting panic and turning himself into a demi-god. The destruction brought forth is far more disturbing and imaginative than what you'd expect from a book that also features cameos from Martian Manhunter and Scott Free. Dark secrets are revealed, violent acts are committed, and afterwards no one is the same, including the reader. Way back in 2002, vampires weren't quite "in" again. Buffy was about the only mainstream vampire-centric property, and it was in its last season. There were no popular vampire films being released, Sookie Stackhouse was barely on the shelves herself, and the good name of bloodsuckers had yet to be sullied by one Stephanie Meyers. The drought of vampire stories in comics was even greater, whereas today we have vampires attacking the Avengers and the X-Men, and everyone is feeling a little drained by the concept. Another reason this series became a runaway hit was the source; relatively unknown writer Steve Niles and young artist Ben Templesmith. Both are staples amongst indie titles now, but this was the hit that introduced them to comic book readers and horror fans alike. You may know about the book from the film adaptation (Hollywood excels in taking unique concepts and turning them into mundane snoozefests), but don't let that scare you from reading it. It's an engaging story about the townsfolk of Barrow, Alaska and their attempt to survive the brutal winter ahead - and hey, the gang of vampire's intent on turning the prolonged darkness into a feeding frenzy. The ending is heartbreaking and sweet, especially in comparison to the brutality by which it is preceded. If you are trapped inside all weekend by unseasonably cold weather, this will be the perfect companion for your bone-chilling night in. These books are difficult for me to recommend seeing how I have yet to read these seminal titles (The Haunt of Fear, The Vault of Horror, Tales from the Crypt, Weird Science), but they are sure to live up to their vast reputations. You don't have take my word for it either. Just look at a few of the individuals that list EC books as influential to their work: George Lucas, Steven Spielberg, and John Carpenter all write introductions for these series of hardcover reprints. 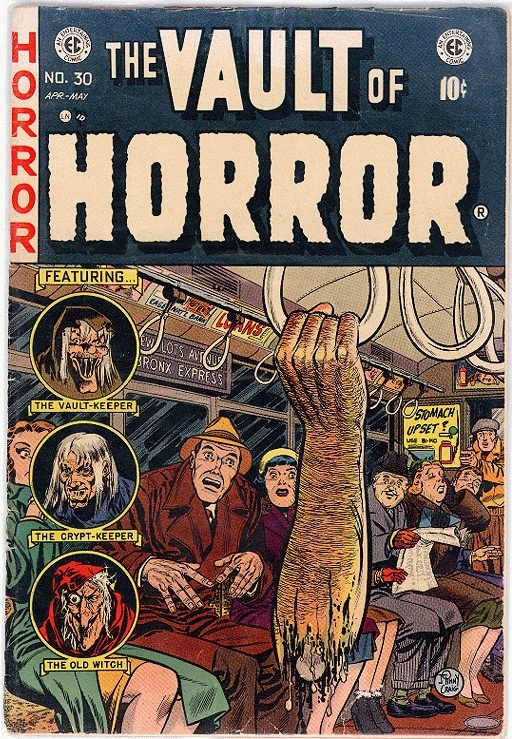 These titles dominated the market at the height of horror comics, making them stiff competition for super-hero books at the time. Their content is largely responsible for the implementing of the Comic Book Code. Comics best known for corrupting an entire generation of youths by (supposedly) inciting violent, sexual, and generally odd behavior? They kind of sell themselves. Halloween seems as good a time as any to catch up on the classics. Another good reason to pick them up sooner rather than later, Gemstone Publishing is facing financial difficulties. If you want to read these books and support the reprinting of classic titles, demand them at your local comic stores today! I'd recommend this book for Valentine's Day if I thought it would make it more appealing for those still resisting this frequently recommended title. If you are stubbornly ignoring years of Eisner awards and Oscar-winning director Frank Darabont's faith in the series, then here's a last ditch effort to make you pick it up: it's Halloween! Zombies! You should read it. 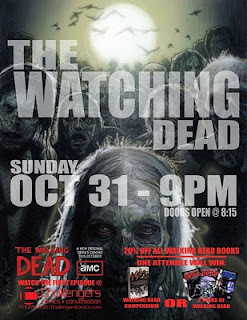 For the lazy folks out their (and avid fans), you can watch the series premiere of The Walking Dead this Sunday, October 31st on AMC. Check your local listings for the time. 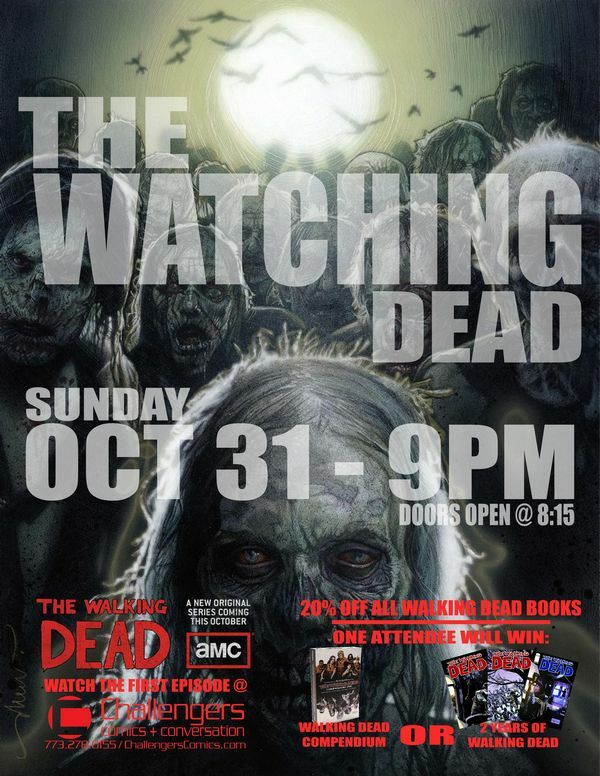 For those in the Chicago area, come out for a special viewing at Challengers Comics+Conversation where you can purchase any Walking Dead merchandise for 20% off! One lucky viewer will even receive the Walking Dead Compendium or a two-year subscription to the title. A nice incentive for getting off your couch. A few other titles worth mentioning include Hellboy of course, but that series is so fantastic all the way through I'd have a hard time picking just one story to recommend for Halloween; Locke & Key, a new series from IDW written by Joe Hill that was recommended to me as appropriately scary reading; and lastly House of Mystery. I have plugged that book here many times, once more can't hurt! After writing this list, I'm considering scrapping my weekend plans and staying in bed with several books. Then again I've already made my costume and will force myself to go out despite near freezing temperatures here in Chicago. Whether you read these titles now or later, be sure to sleep with the lights on.